How the business develops, sources and markets its products and services responsibly and with integrity, whilst ensuring an acceptable return on investment. A core part of Unipart’s business is supply chain management, and it is fundamental to its many clients and business units that their supply chains operate in a sustainable way to deliver the required service level and quality to their customers. To make this happen, Unipart needs to take a lead in responsible management of the key elements of the supply chain. We have developed some of the best possible relationships with our customers as part of a deliberate strategy to secure long term business with them through exceptional value add. This means developing customer intimacy, with a real understanding of needs and fulfilling these with outstanding quality of service and product. To achieve this we need mutually beneficial relationships, where customers are listened to, correct information about products and services is readily available and a positive approach adopted to resolve difficulties. Equally, Unipart has for a long time prided itself on the development of long-term relationships with suppliers, based on mutually beneficial partnerships. Many of these have been cemented through the use of the Ten(d) to Zero programme which enables the capture and sharing of supply chain performance data to provide the platform for jointly developed improvement programmes. More recently environmental and ethical elements of this programme have been integrated. 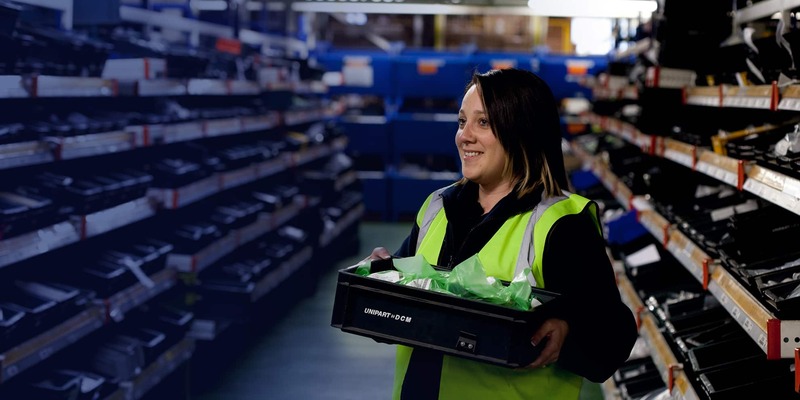 Wherever possible, in the development of its own products and services, Unipart will seek opportunities to ensure that they are safe to use and handle, minimise the amount of packaging without compromising safety, reduce emissions either directly or indirectly and involve the reduction of waste or increase in recycling. Where opportunities exist, we will utilise feedback from customers and the market to evaluate the need for such products, and work in partnership with suppliers to jointly develop them.